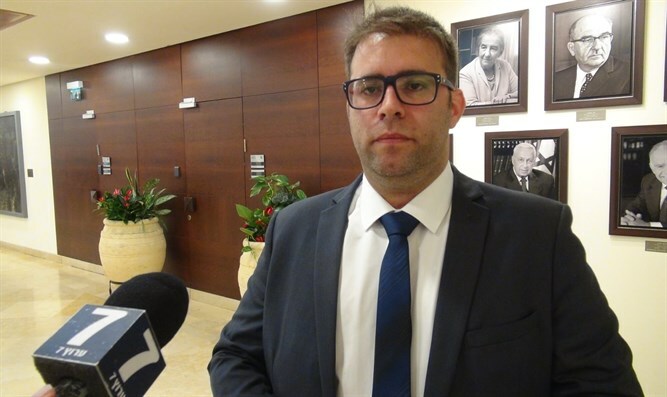 MK Oren Hazan says those who mourn deaths of Hamas terrorists 'traitorous,' says Israel will continue to defend its citizens' lives. MK Oren Hazan (Likud) criticized as "traitorous" activists who mourned the deaths of Hamas terrorists in Tel Aviv. "Those radicals from the left side of the map that draw names of crazy terrorists on the [streets of Tel Aviv], those actions are traitorous," Hazan said. "You need to understand that the people who were killed in Gaza are not human beings. They are terrorists and all they wanted was to cross the border, come to the Jewish State, come to a Jewish city, slaughter Jews in their beds, and conquer us. "We came back [to our homeland] to say 'never again.' The Israeli state, standing on her own, will keep up the safety of her citizens and keep the promise to the citizens that she will never allow [any of them] to be hurt again." He said that anyone who was unhappy with the IDF's actions in defending the country's borders "they are more than welcome to move to the Gaza Strip." Hazan said that Israel would defend itself even if world opinion turned against its exercising of the right to self defense. "We will keep our promise - never again."